Bonita Center for the Arts was a very unique client to work with. 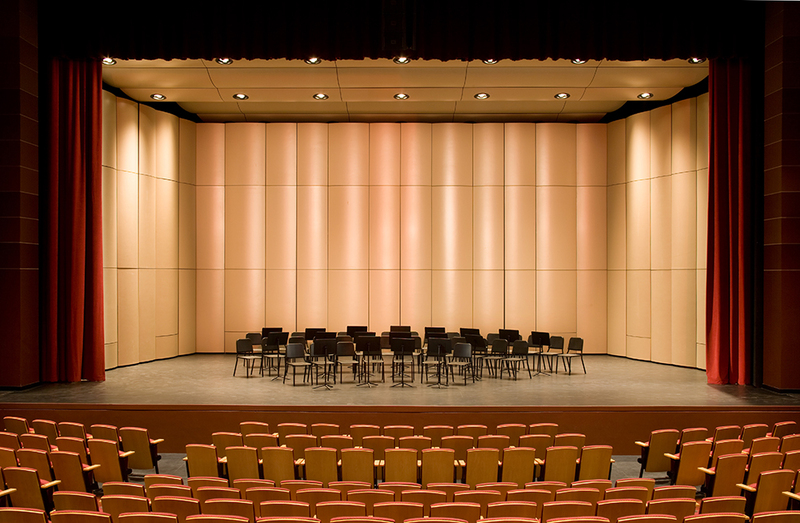 In searching to outfit their theater, Bonita Center for the Arts partnered with high profile consultants Auerbach & Associates, and ultimately chose StageRight as the perfect fit to provide their Acoustic Sound Shell, and Orchestra Pit Fillers. 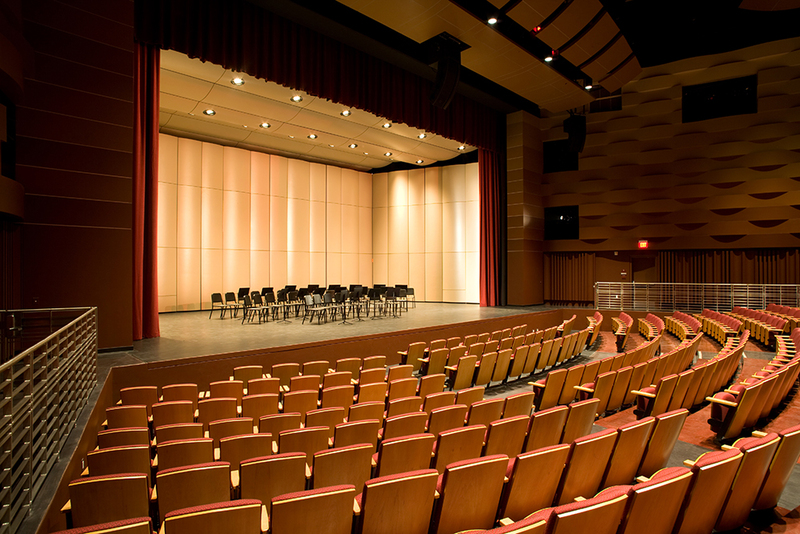 As a very busy facility, hosting both high school and professional community performing arts programs, fast changeover was critical. 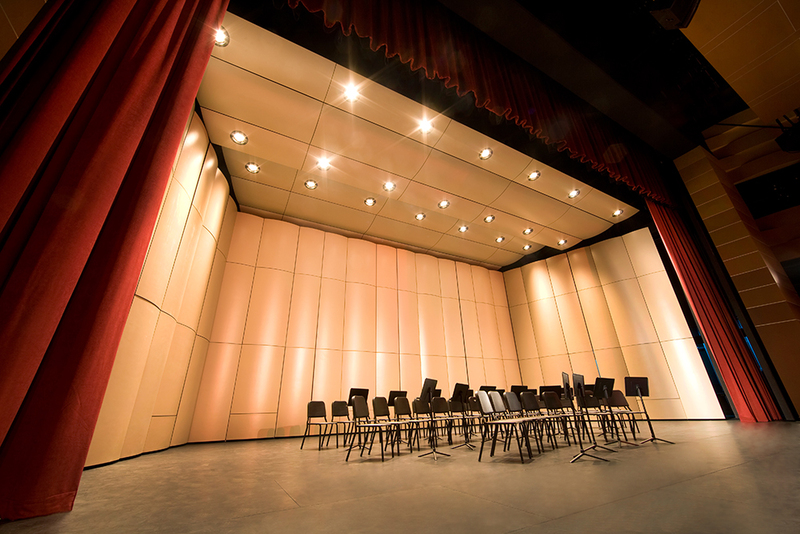 Both the Opus II Concert Acoustic Shell, as well as our Orchestra Pit Filler systems suited that need well. The pit filler provided is designed to be set to either stage or audience height. StageRight collaborated with the chair provider, and provided additional mounting hardware which allows additional seating to be mounted directly to our decks when set to audience level. This hardware allows chairs to be added and removed very quickly during installation and strike. In addition, our ME-1000 Stage Supports store neatly and compactly under the decking when the platform is stored at audience level.